We will be releasing the very first outfits of 2013 soon! Can you guess what they are? Spice up your closet with these clothes featured this week at Trendiiz and Gee-Cue. Improve your apartment with Franklin’s useful furniture. You can conveniently prepare your budget since we have included each item’s price and when it will be available. For questions, requests and inquiries concerning SocioTown items, you can place a comment below. Enjoy! SocioTown’s riverside looks lovely. While strolling near the river, why not take pictures too? 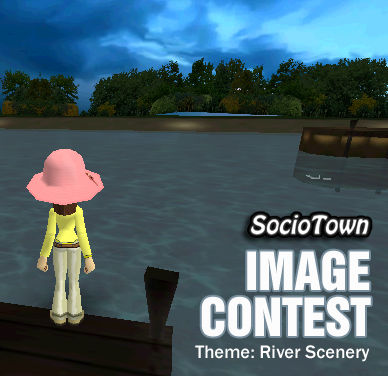 If you love rivers and snapping screenshots, then join the latest edition of SocioTown’s Image Contest! The rules are simple — simply snap a picture of a river scenery with your friends, special someone, or whoever/whatever you want to be in the picture; make it funny, wacky, or just interesting; email me your entries at dawn@sociotown(dot)com with a short explanation/story about the photo, your SocioTown name, and your Permanent Resident status. Winner(s) will win 100 SoBucks plus a surprise gift from Franklin’s Furniture! Deadline will be on March 09, 2013. Here’s a tutorial, if you don’t know how to take a screenshot: http://www.take-a-screenshot.org/; and a step-by-step guide on attaching images in the forums: click me. If you have any questions, share them in the comment section below and I’ll try to answer right away. So take your Socian for a stroll and breathe some fresh air by the river. Who knows, you might get an opportunity to snap a really good screenshot. Good luck and have fun! Check out our weekend shopping guide complete with images and item info. Ready your SoBucks for a shopping spree this weekend! Click the link below to see our featured items. Here are the winners for our Valentine’s Day contests. Thank you all for joining and for sharing your love in SocioTown. You can see the winning entries below! We will be announcing our Valentine’s Day contest winners soon. However, for those who still want to join Couples Corner, you can send a screenshot of your relationship status (when you view your profile, it’s that part that says “In a relationship with ____”. That will be the proof to verify that you are in relationship with another Socian and that you’re illegible for the interview/blog feature. We have received very disturbing reports lately about players cursing and talking about inappropriate topics. Please keep conversations in the game appropriate at all times. Help keep SocioTown a safe and appropriate place for young players. If you’ve forgotten the game rules, or simply didn’t read it, you can check it before logging in to the game. You can also use your own judgement on what to say or discuss, right? Thank you to those who report mischievous players. It helps a lot! 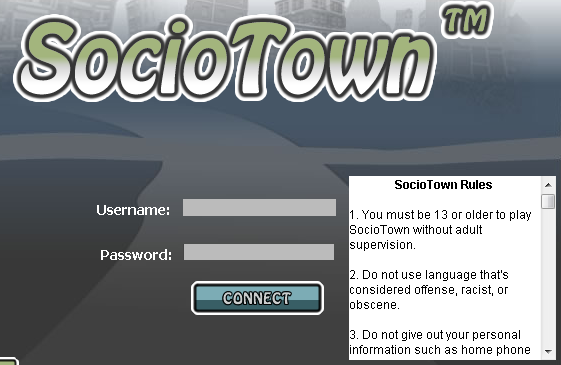 To know more about making a report, read this guide: http://www.sociotown.com/gameguide/?id=T-2. If the player you want to report suddenly leaves, try reporting another Socian who is near you and just add a comment that you’re reporting someone else (you can just input the name and then a short description of what they have done: ex. James - cursing). Don’t worry, we read the reports carefully and then check the situation in detail (time, Socians present, discussion, etc). The guides do not ban players without proper reason. Please take this blog post as a reminder. Thank you and have a nice day! 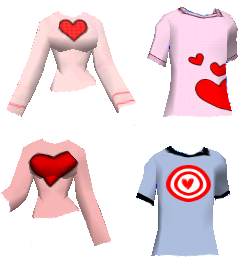 We have a lot of requests this week, but the highlights of our stores are the following: Trendiiz - Valentine’s Day inspired outfits, like the Lovestruck Shirt, Hearts Sweater and red hairstyles; Gee-Cue - Still Valentine’s Day inspired outfits; Franklin’s Furniture - Lots of walls! You should also check out the Formal Outfits, for those who want to go classy with their love month celebration. Enjoy these items and have a happy Valentine’s Day! 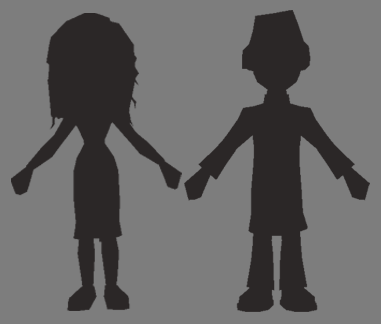 For the lovely SocioTown couples out there, we have the right Valentine’s Day items for you! We have sweaters and shirts decorated with hearts, hairstyles in the color red, and couple wear that will express your joy for the holiday. Enjoy Valentine’s Day with SocioTown’s fashion items. Get them this week at Trendiiz and Gee-Cue. Eager to share the love in SocioTown? Here’s our Valentine’s-Day-inspired contests!